"Incarceron" is a prison so vast that it contains not only cells, but also metal forests, dilapidated cities, and vast wilderness. 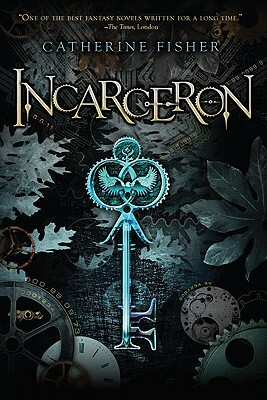 Finn, a seventeen-year-old prisoner, has no memory of his childhood and is sure that he came from Outside Incarceron. Very few prisoners believe that there is an Outside, however, which makes escape seems impossible. Catherine Fisher is an acclaimed novelist and poet, and has written many fantasy books for young people, including the popular "Oracle Betrayed" series. She lives in Wales.